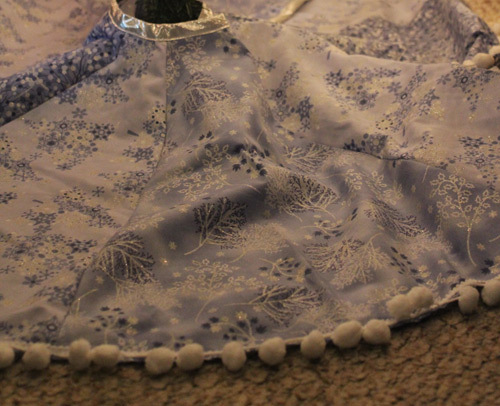 Last year, I only threw some excess fabric I had around the base of my Christmas tree as a makeshift tree skirt, but this year, I wanted to be a little more deliberate. 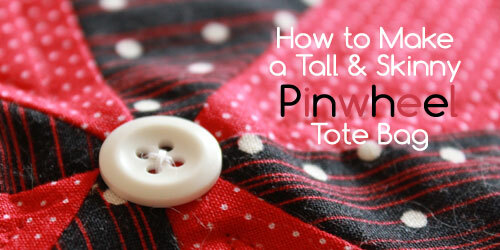 This tutorial will show you how to make a round tree skirt using curved triangular pieces. My supply list is a little vague because measurements and fabric amounts will depend on the size you make. 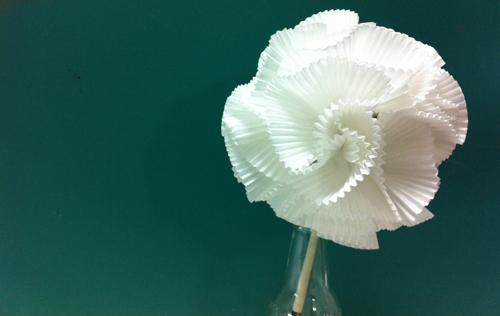 Once you make the paper template following my directions, you will be able to figure out how much material you’ll need. Start by deciding how far you want the skirt to stick out from the base of the tree. You will need a big square piece of paper (I used an open furniture flyer) that is at least that wide and tall. If you don’t have one that large, tape some smaller sheets together. Cut a length of string that is the same length as the piece of paper when one end is tied to a stick and the other tied to a pencil. Hold the stick end at one of the corners. Holding the pen in the other hand straight up and down, draw a curved line by holding the string taut. You should end up with a fairly even curved line. Cut along the line with scissors. You should have one quarter of a full circle. Fold this piece in half, making sure the fold line travels from the point to the center of the curve. If it’s uneven, you can trim the curved edge so that both match. Cut along this folded line. Now you should have an eighth of a circle. 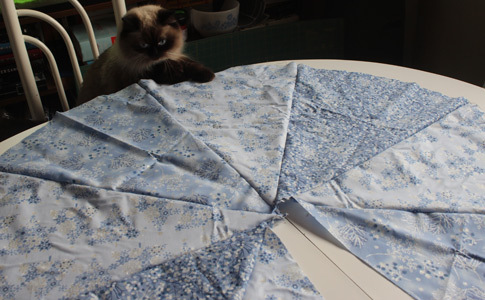 Use this triangle as a template for each the eight slices of tree skirt. 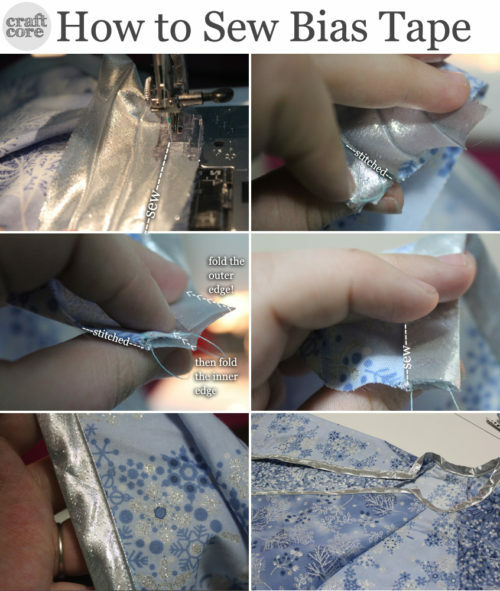 You can figure how much fabric you’ll need by looking at the paper template. 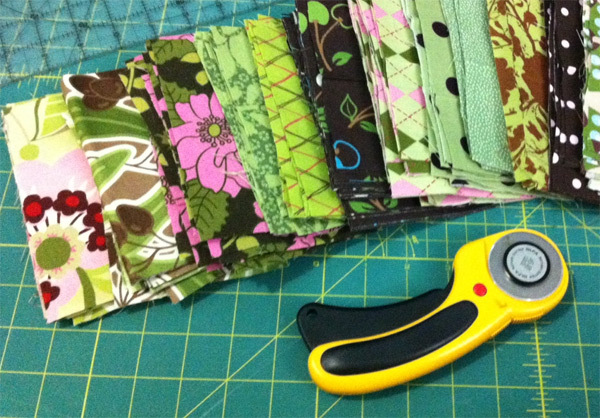 Be sure you have enough for all 8 pieces before you begin cutting into your fabric. 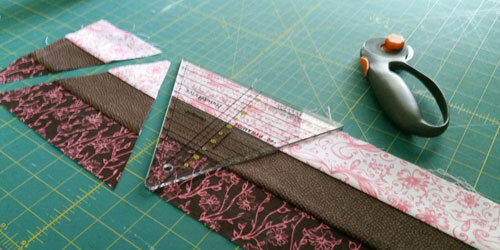 To figure out how much trim you’ll need, measure the curved edge and multiply the length by 8. Add a few inches to be sure you’ll have enough. 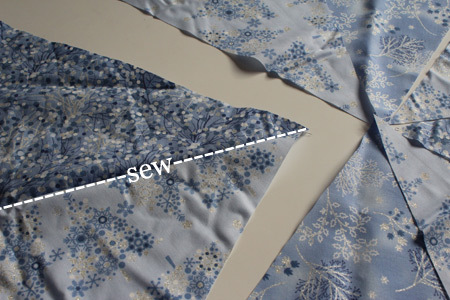 Place the template on each of your fabrics and cut it out. Since I only had three coordinating fabric prints, I cut 4 out of Fabric A, 2 out of Fabric B, and 2 out of Fabric C. Your choice! If the fabric’s print runs in one direction, be sure that you cut out the fabric so it lines up, even if it wastes a little fabric. Take two pieces and line up the edges with the right sides together; sew. Be more concerned about the curved edges lining up because we will be cutting off the pointed edge anyway. Hem the outer circle and sew on a trim around the outer circle. And you’re done! 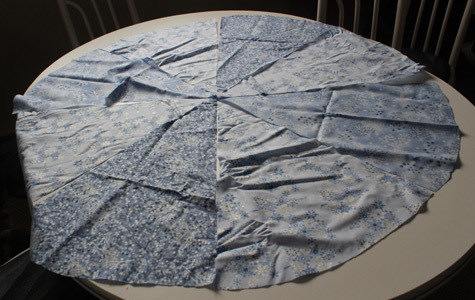 This project comes together quickly – the longest task is hemming the outer circle. I could also imagine this project in red and green alternating panels. I’d love to see what you come up with!